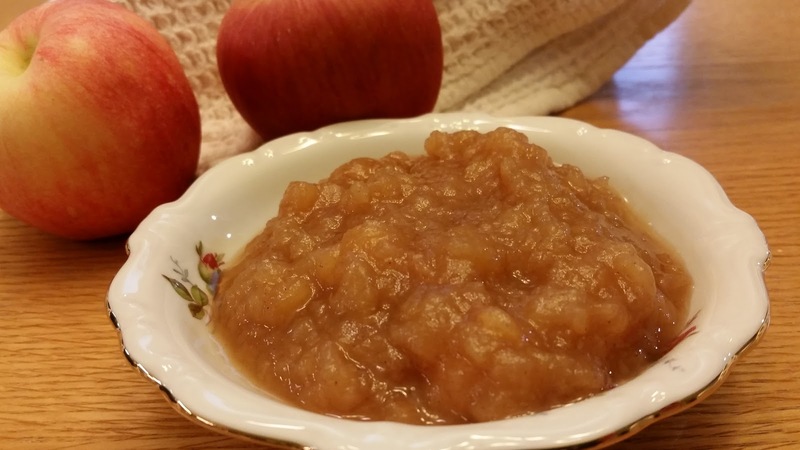 This applesauce is so much better than anything you can buy in the store, and it's really simple to make. Definitely a win-win. Mix apples with cinnamon and sugar in 5-quart crock pot. Pour juice or water, lemon juice, and vanilla over apples. Cook on low for 6-8 hours (or overnight) or high for 3-4 hours. Optional: stir occasionally (if cooking on high), and crack the lid slightly to allow some of the liquid to cook off in the last hour. I incorporated a few of the suggestions some of the reviewers mentioned - using apple juice instead of the water, and adding some vanilla. I thought it turned out really good. Another reviewer suggested adding more cinnamon, but I stuck with the original 1/2 tsp. because I used another recipe for crock pot applesauce several years ago, and it was really cinnamony. I figured I'd rather have the flavor of the apples shine through. 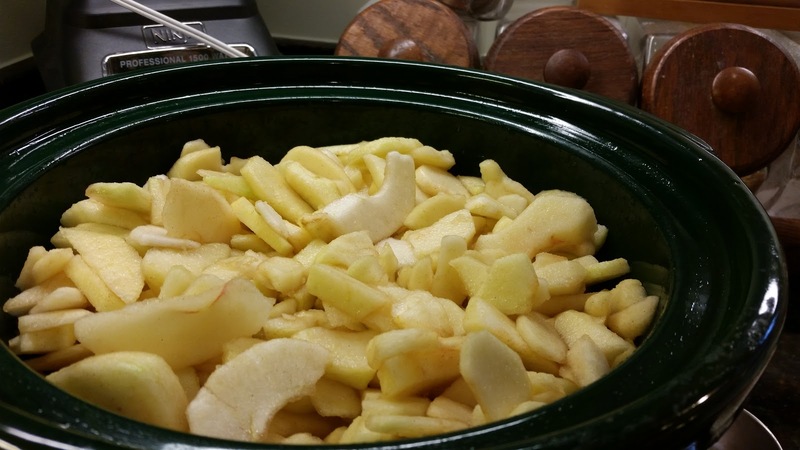 The recipe calls for about 12 cups of sliced apples. I ended up adding another cup or two because my crock pot was so close to being full I figured I might as well fill it the rest of the way. I cooked mine on high, and stirred it occasionally, about once every hour. I also cooked it probably 4 hours and then let it cook another hour with the lid slightly cracked to let some of the liquid cook off. Cooking times can vary depending on the type of apples you use. I'm not sure what kind of apples I used because I got them off my neighbors' tree. All I know is that they're fairly tart and they hold together pretty well when cooked. 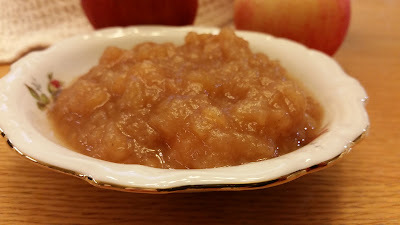 That's great for apple pie, but it does take a bit more cooking (and stirring) for applesauce. The good part about cooking the apples in the crock pot is that it doesn't really matter. You can cook them as long as you want, and you don't need to keep a close eye on the pot. We're really enjoying this. It's great when it's fresh and warm straight out of the crock pot, and it's good cold, too. Definitely give it a try.